The Underwoods embrace the age of Trump. House of Cards is finally back for its long-delayed fifth season, available now to stream in its entirety on Netflix. 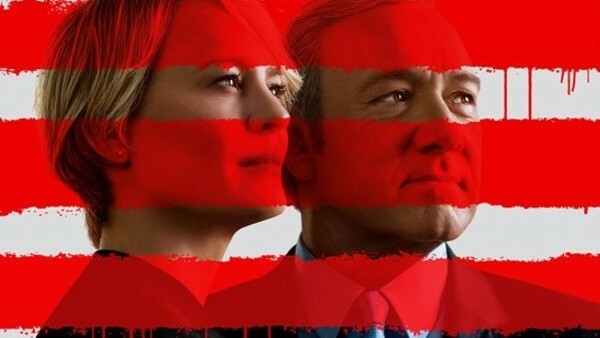 Though the show has admittedly lost a little of its freshness over the last two seasons, season five feels like a return to form in many ways, upping the pace and the sense of danger, and giving Kevin Spacey and Robin Wright some of their best material as these characters to date. It's not all perfect, sure, and it still doesn't quite reach the highs of those brilliant first two seasons, but it nevertheless proves there's still life in the show yet, and the final two episodes in particular are sure going to give fans a lot to digest. 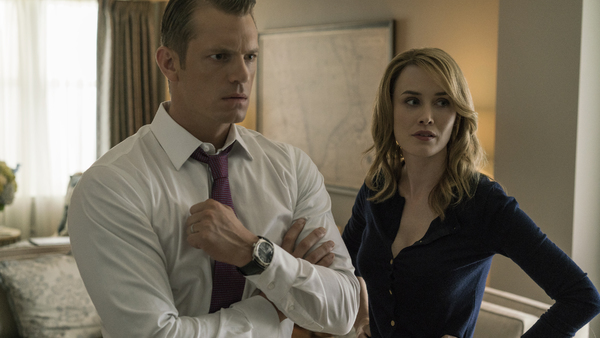 Probably the biggest issue this season is that a lot of the show's subplots end up feeling like repetitions of drama from previous seasons, be it Doug having the worst work-life balance known to man, or Tom Hammerschmidt's continued attempts to expose Frank's murderous activities. That's to say nothing of other plots that just go around in circles for most of the season before finally paying off, such as Governor Conway's campaign trail and marital life, and the rather tedious romance between Claire and Tom Yates. Though the central drama undeniably sizzles, some of the moldier side-stories end up running their course long before the end of the thirteen episodes, something that's even more apparent for those who dared to binge the show.